At the Weirs Jewelry Outlet (603) 366-4388, you’ll find a large selection of contemporary jewelry styles and fashion accessories. You’ll also find a complete selection of candles, wind chimes, and sunglasses. The Half Moon Gift Shop (603) 366-4388 is next. It has the perfect souvenir or momento for your vacation to Weirs Beach——plus the little gift you can’t wait to bring someone back home. The store also has a wide variety of T-shirts, caps, and sandals. 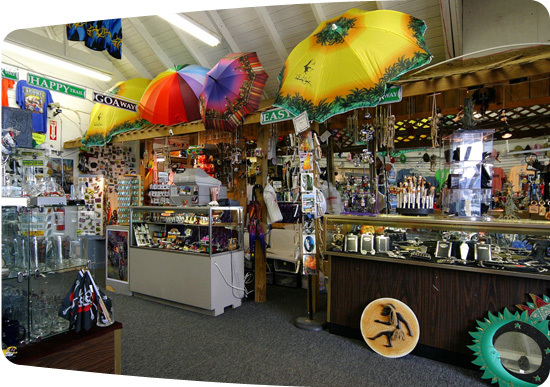 Finally, at the Half Moon Beach Shop (603) 366-4388 you’ll find bathing suits, resort wear, towels, and a large selection of footware.